Introducing the newest innovation from Marathon Motors: SyMAX Ultra-Efficient Interior Permanent Magnet AC synchronous motors. Looking for the next level of efficiency? SyMAX PMAC motors deliver impressive energy savings by the elimination of rotor conductor losses, optimized fan design, precision-wound stator and variable speed operation. 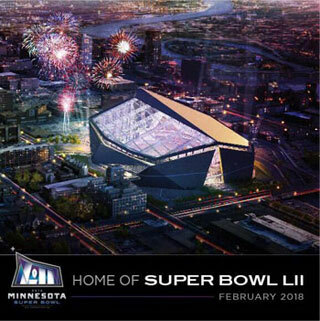 Super Bowl LII is coming to Minneapolis in 2018! I believe our life stories are composed of many experiences that have made us who we are. Each month I've been sharing some of mine with you; I hope you have enjoyed them. My wish is for them to help you discover and think about your own stories, the ones that have impacted your life the most. The value of your awareness can help you create the stories and experiences you want in your life! If you don't take charge of your life, who does? So get busy creating new stories that will give you the life you want. Take a few minutes to review my previous stories, think of your stories and write them out, and have fun discovering the essence of yourself.